Summer in Las Vegas. A time when the cares of winter melt away and the pollen of spring finally blows out of town. A season when clothes come off piece by piece. A postseason when hockey is improbably, and delightfully, still being played (go, Knights, go!). A climate where music is in the air and comedy is in the heart—specifically, in the air around and the heart of The Chelsea at The Cosmopolitan, where some of your favorite musicians and comedians will be appearing over the next three months. The official greatest Song of the Summer is, of course, Van Halen’s 1979 harmonic monster “Beautiful Girls,” and we’ll brook no dissent on the matter. But if you wanted to encapsulate the essence of summer, you could do worse than the SoCal mélange of punk, reggae, rock and rap popularized by Sublime and carried over by their protégés, Slightly Stoopid. It’s the same sound you hear when you crack your third beer of a sunny afternoon you’ve spent floating in the pool. It’s like the very idea of San Diego picked up a bass and rolled off five wicked bars. For four seasons, Inside Amy Schumer stood as the Comedy Central heir apparent to Chappelle’s Show, which is a pretty good position to be in—at least, if you want to blast off into superstardom. Schumer went from sketch- and stand-up comedy critical darling to starring in 2015’s Golden Globe-nominated Trainwreck (which she also wrote)and this year’s I Feel Pretty, alongside turns on Broadway and on The New York Times Best Seller list for her memoir, The Girl with the Lower Back Tattoo. She’s no stranger to Las Vegas, having done residencies up and down the Strip, but she kicks off the first of a four-show exclusive engagement at The Chelsea on Aug. 10 (she’ll be back again in November). If you didn’t get your reggae fix in June with Slightly Stoopid, you’ve got a second chance at Caribbean rhythms and guitar chords played on the upstroke with a lineup at The Chelsea that includes Stephen Marley, Common Kings, Zion I, and DJ Mackie, all headlined by Santa Barbara, California’s Rebelution. The guys from Rebelution met in college, bonded over reggae and formed a band that’s releasing its seventh, sun-splashed studio album, Free Rein, on June 15. Seven albums? We were lucky if we could get it together enough with our college roommates to come up with pizza on a Friday night. Apparently we should have listened to more Bob Marley and less of The Smiths. There aren’t many bona fide geniuses left working in rock music these days. Even fewer who stormed the music world armed only with old blues riffs and a Montgomery Ward guitar. In fact, there’s just the one: Jack White. When he’s not running his own record store, or re-issuing rare old vinyl, or curating long-forgotten geegaws and whatsits (seriously, check out the 1947 Voice-o-Graph in the Nashville Third Man Records where you can press your own vinyl), or playing in roughly 63 various bands, White is busy recording his own award-winning solo projects. He debuted his third album, Boarding House Reach, in March – his most ambitious, Bowie-esque project to date. His fans seem to dig it, because tickets for the Thursday show are already sold out. If funked-out reggae is the atmosphere of summer days, then Jack Johnson’s breezy, island-flecked surfer-singer-songwriter jams are the sound of summer nights. Unless you’re listening to the Grease soundtrack, but Olivia Newton-John is a little too on the nose, don’t you think? If you’re in your thirties, there’s a good chance that even if Johnson wasn’t your favorite singer back in college, then you dated someone for whom he was. In which case, you almost certainly tried to learn “Sitting, Waiting, Wishing” on the guitar to impress them. Even if it didn’t work out, we can’t say we blame you for trying. Sept. 16 is Mexican Independence Day (no, it’s not Cinco de Mayo), which has the seriously cool origin in 1810 of a Catholic priest ringing a bell to signal the call to arms, known as the Grito de Dolores. Which, come to think of it, would be a fantastic name for a Mexican punk band. Kicking off a weekend of musica en español is actor and Puerto Rican pop singer Chayanne – who was once told he was too young to be in Menudo, something we didn’t know was even possible. He also has a video where he dresses like toy soldier-era Michael Jackson, a bored king, one of the Jabbawockeez and, we’re pretty sure, Falco. 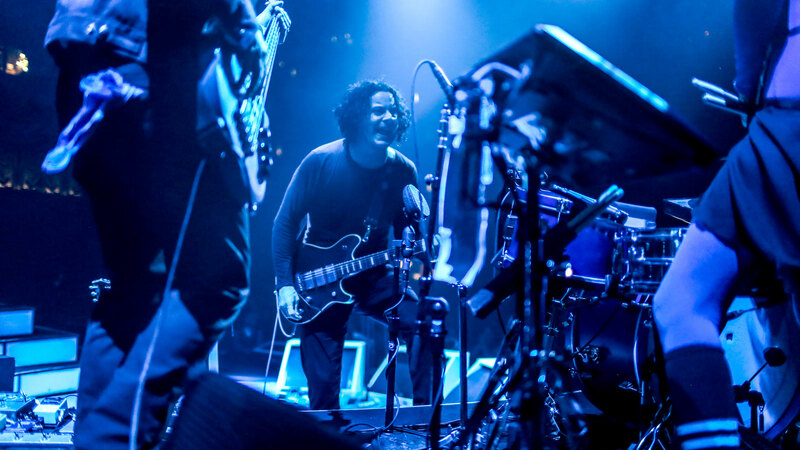 Jack White photo by David James Swanson. Jason Scavone, thanks for the article post.Really thank you! Great.